Shane Keith Warne (born 13 September 1969) is an Australian former international cricketer, widely regarded as one of the best bowlers in the history of the game. Shane Warne was born to Keith and Bridgette Warne on 13 September 1969 in Upper Ferntree Gully, Victoria, a suburb of outer Melbourne. He was named one of the Wisden Cricketers of the Year in the 1994 Wisden Cricketers’ Almanack. Warne played his first Test match in 1992, and took over 1000 international wickets (in Tests and One-Day Internationals), second to this milestone after Sri Lanka’s Muttiah Muralitharan. He retired from international cricket in January 2007, at the end of Australia’s 5-0 Ashes series victory over England. Three other players integral to the Australian team at the time, Glenn McGrath, Damien Martyn and Justin Langer also retired from Tests at the same time which led some including the Australian captain, Ricky Ponting, to declare it the “end of an era”. Following his retirement from international cricket, Warne played a full season at Hampshire in 2007. He had been scheduled to appear in the 2008 English cricket season, but in late March 2008 he announced his retirement from playing first-class cricket in order to be able to spend more time pursuing interests outside of cricket. 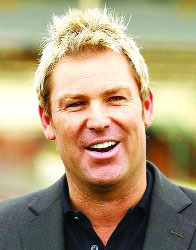 In March 2008, Warne signed to play in the Indian Premier League for the Jaipur team, Rajasthan Royals in the first edition of the tournament, where he played the roles of both captain and coach. 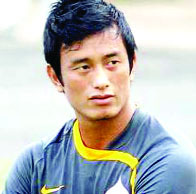 He led his team to victory against the Chennai Super Kings in a cliffhanger of a final match on 1 June 2008. 1. Who was the first to enter into the final of Six Red Ball Tournament?? 2. Who won 53rd Aghar Jitto Dangal title? 3. Who won T-20 Series played between India and Zimbabwe? 4. Who won the Trentha Dangal title? 5. Who won Sidh Swankha Kesaru Dangal title? The best entry of this week was received from Sanjay Dhar of Upper Laxmi Nagar, Sarwal. The other entries of the week were from Suman Sharma of Roop Nagar, Sagar Singh of Gandhi Nagar, Kamal Arora of New Plot, Sunaina of Bari Brahmana, Mohammad Jahangir of Channi, Umesh Khajuria of Miran Sahib and Kajal Sharma of Shastri Nagar.